Did you know that starting a few weeks ago, the Google Local Guides unlocked a special feature in the Google Maps app that let's them not just add reviews but also add photos to their reviews? 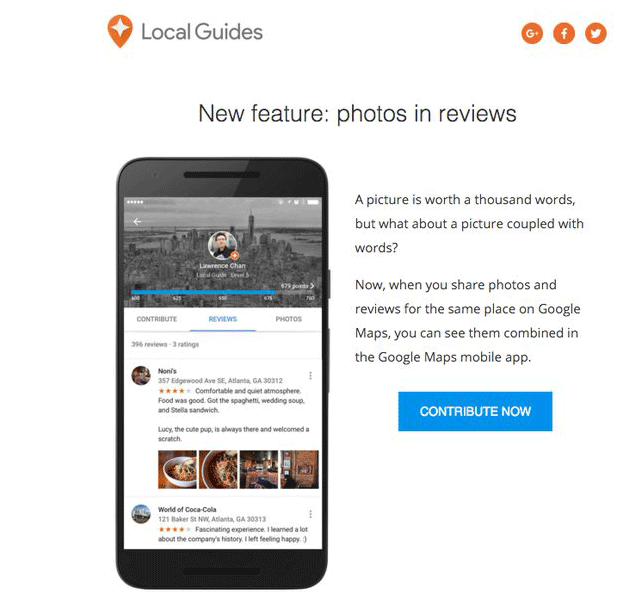 An email sent to local guides this past week said, "now when you share photos and reviews for the same place on Google Maps, you can see them combined in the Google Maps mobile app." Technically, this feature when live a few weeks ago but it seems like Google is just first notifying the local guides about it.